August is my favorite month. Not just because of my birthday, but also because it officially marks the changing of the season. I love warm weather, but I am excited for the crisp Fall and to be able to wear coats and boots. 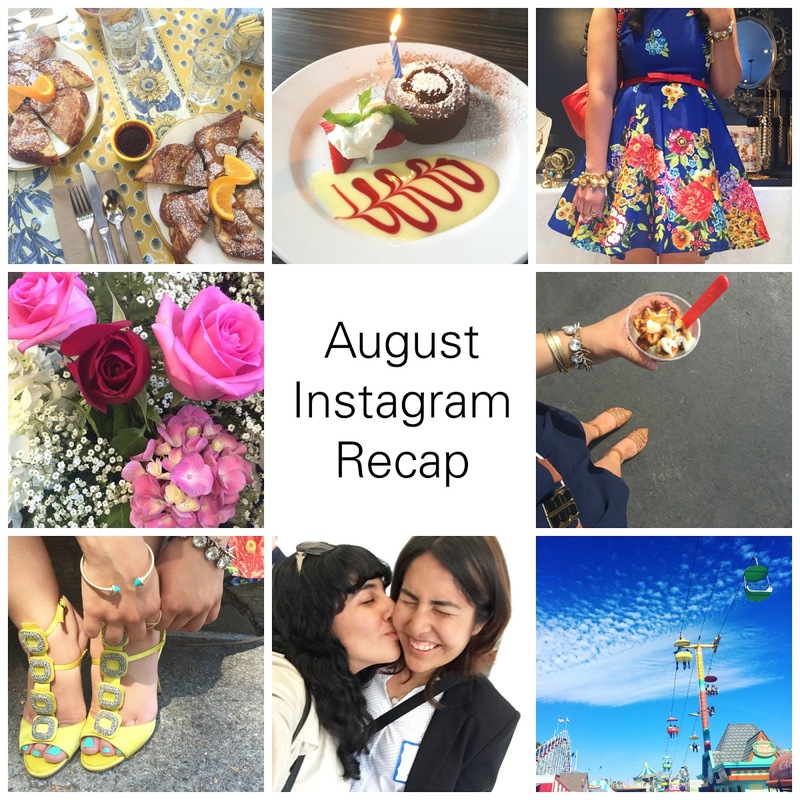 Here is my recap of August from Instagram! At the beginning of the month, I saw my sister off at SFO as she embarked on her trip back to Japan, this time to teach English. She is doing well, but I definitely miss her. Planning on taking a trip over to visit in the Spring, this time with Armando! IFB relaunched at the beginning of the month and held their party at Cinta Salon with bites from E+ O Restaurant. I had a blowout done and I got to spend some time with some of my blogger friends. 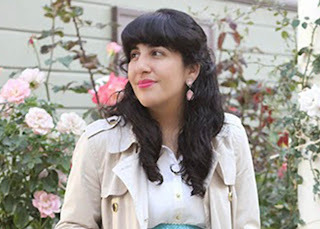 I can't wait to share photos of how my hair turned out in a couple of outfit posts. 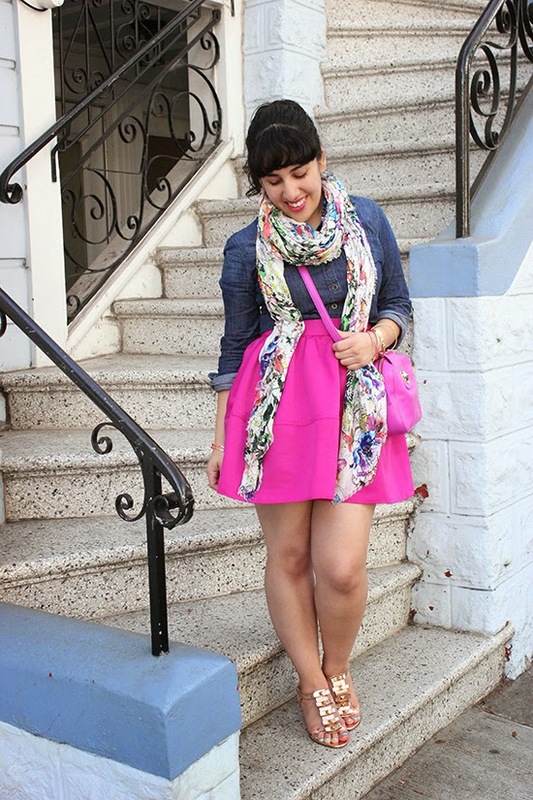 Top Row: Modcloth has a pop-up shop in SF! Tried on some clothes (and sunglasses) in store. It's been extended to the end of the holidays, so stop by if you are in the area! Bottom row: This month was full of store openings. 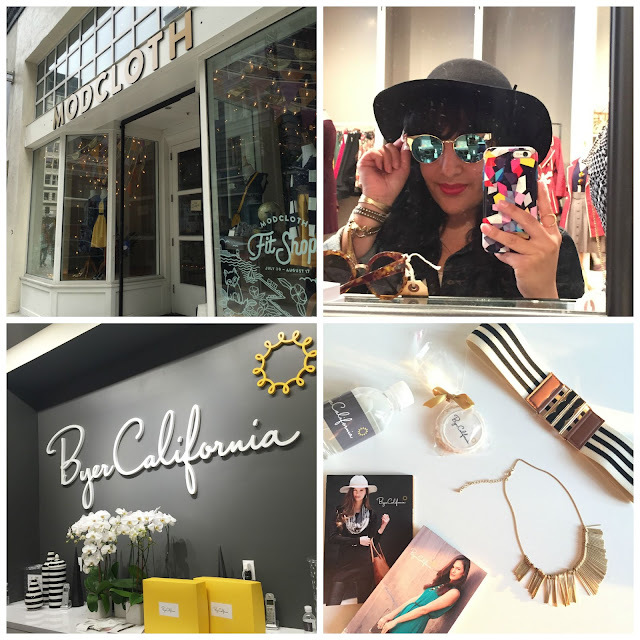 I was invited to attended the Byer California Store Opening at the San Francisco Premium Outlets and off course I ended up picking up some goodies. Armando and I attended the relaunch of the NIQUEA.D brand at Papyrus in San Francisco. 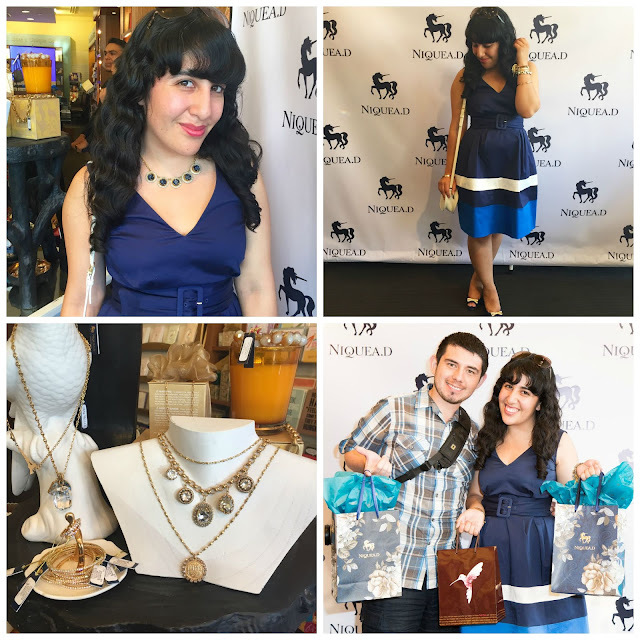 I won an Instagram contest during the event and took home a pretty bracelet and statement necklace by NIQUEA.D with me. Cooled off on a hot day with some Talenti Gelato and Frozen Kuhsterd at the San Francisco Street Food Festival. 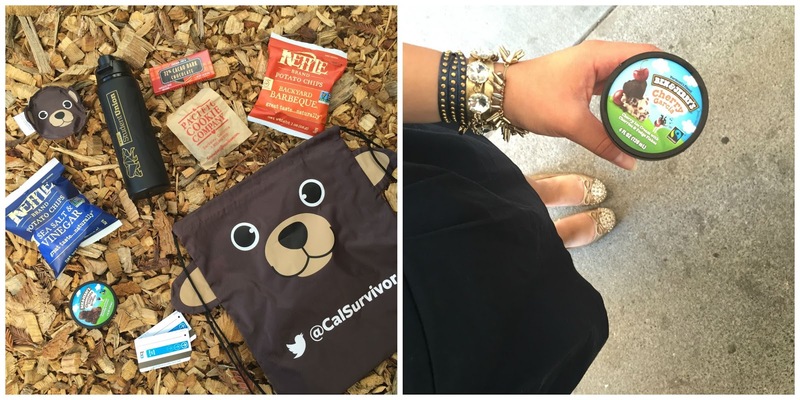 I worked at Caltopia again and came home with a bunch of freebies. I even won a goodie bag for my Instagram photo of the Ben and Jerry's ice cream. Turned 25 this month! Armando got me some Choux Bakery Cream Puffs and flowers. My parents also sent me some flowers, and they took me to out for dinner where I got my birthday chocolate lava cake. 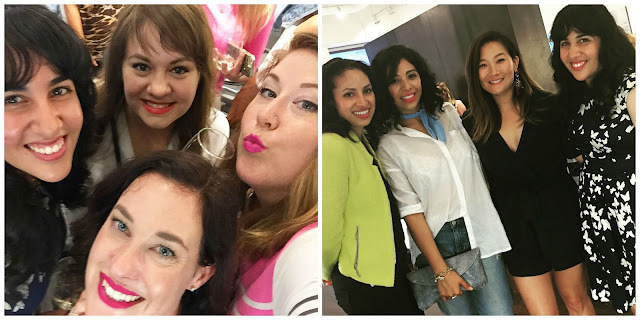 Of course, this recap would not be complete without a blogger brunch and cocktail party. On the left, a look at the Brioche French Toast from La Note Restaurant. 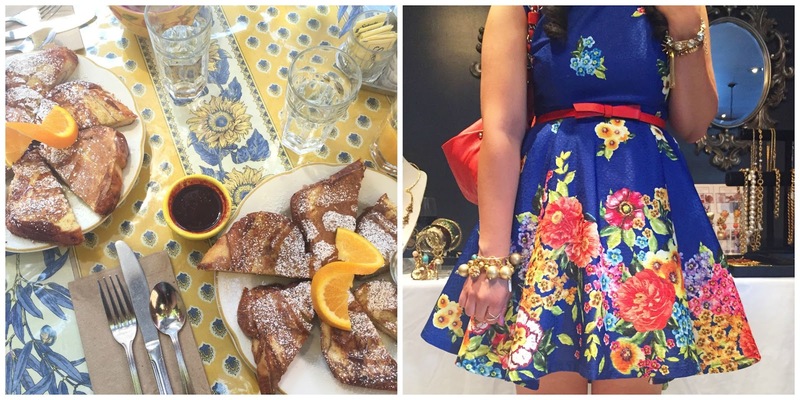 I had brunch with East Bay Bloggers Brittany, Melissa, and Julianne. On the right, I spent an evening sipping cocktails and trying on vintage jewelry at the Hotel Nikko Kanpai Lounge with Chelsea, Live Love Moda and Sasha Maks Vintage. The highlight of the month, was spending a warm afternoon at the Santa Cruz Beach Boardwalk to celebrate my birthday with Armando. We snacked on a lot of yummy food and it was the perfect way to end the month. Hope you enjoyed last month's recap. There's already so much going on this month already so I look forward to sharing that soon!